This lovely teapot from Fox Run will delight and serve you every day! Designed by Peter Sadler, it has a traditional Brown Betty style. Made of earthenware, it features a stay cool handle, easy pour spout, and a D-shaped opening for better lid retention when pouring. This medium-sized teapot holds 6 teacups (1.1 L or 37 oz). I just love this teapot! It's a nice size, a pretty shape and a beautiful rich color. I love my breakfast tea and this pot starts my day on a cheerful.note. It seems to keep my tea warm longer than the pot in my tea set! Wish I could find tea mugs to match! 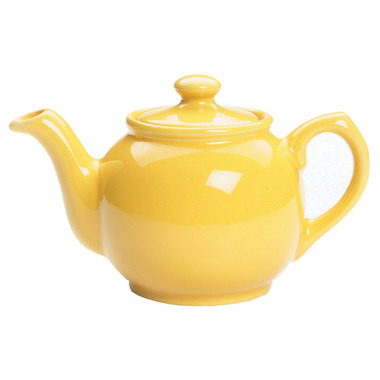 This teapot does not look that good as far as colour and glazw go. The lid fits slightly off and is hard to put om. Also, it does not hold 6cups!